Protect with FRONTLINE. 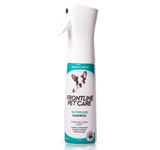 Now care for their skin and coat with FRONTLINE PET CARE premium shampoos, designed with your pet’s wellbeing in mind. 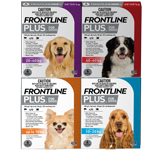 FRONTLINE provides trusted protection against fleas and ticks. Now you can care for their skin and coat with our new FRONTLINE PET CARE shampoo range. Whether your pet has normal or sensitive skin, a dull coat, or even requires a medicated wash, there’s a FRONTLINE PET CARE shampoo to suit them. There's even a waterless shampoo to freshen your dog's coat between regular washes! We’ll help you keep your pet protected with a FRONTLINE solution that suits you. 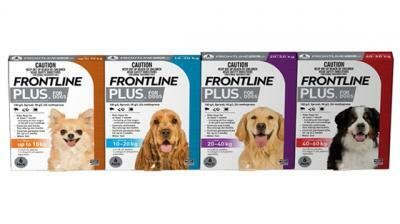 Care for your pet’s skin and coat when you wash, with the new pet care range from FRONTLINE! After bathing pets, wait until their coat is completely dry before applying FRONTLINE PLUS. After you have applied FRONTLINE PLUS, wait at least 24 hours before bathing cats, and at least 48 hours before bathing dogs. 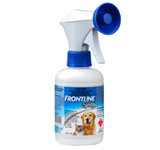 Bathe with FRONTLINE PET CARE products no more than once weekly or as recommended by your vet.